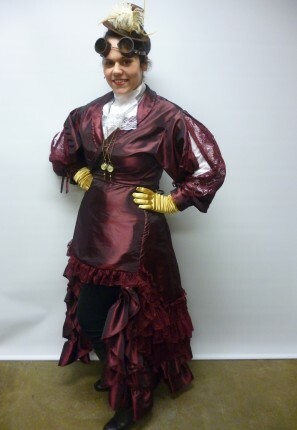 This ladies steampunk costume would be great for a victorianor even a sci-fi themed party. 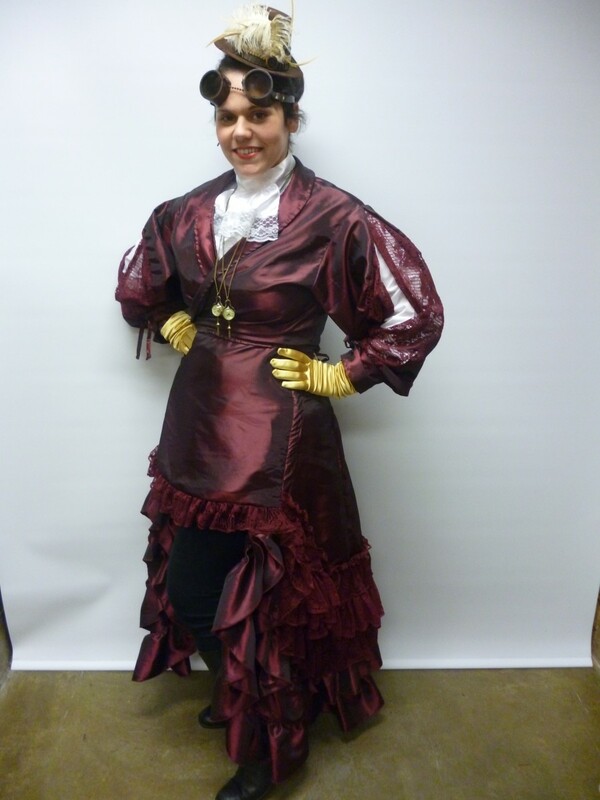 The costume cosists of skirt, shirt, jacket, necklaces, gloves, hat and goggles. Boots are extra.